It’s an unfortunate reality these days that a growing number of American citizens are trusting their federal law enforcement and intelligence-gathering and analysis agencies less and less each day. In fact, a poll released on June 5, 2018 reveals that a majority of Republicans and a growing number of Democrats believe these supposed protectors of the American people are in reality politically-motivated lawbreakers working on behalf of a cabal of crooked, dishonest politicians and wealthy leftists who control the nation’s wealth. The nationally-recognized polling company Rasmussen Reports released their latest political findings on Tuesday and it’s not what the Democratic Party and supporters were counting on as they approach the November elections. While most Americans believe that President Donald Trump never colluded with members of the Russian government to steal the election from Hillary Clinton, the poll shows that now a majority of voters believe that senior law enforcement and counterintelligence officials broke the law in their pursuit of “putting stink” on Trump’s campaign to prevent him from winning the presidency. 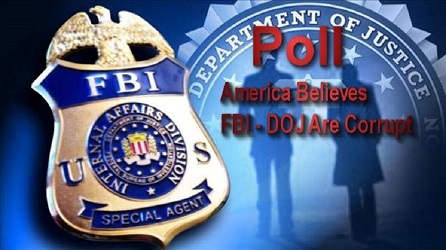 A whopping 72 percent of Republican voters believe it is “likely” federal law enforcement officials broke federal law in their effort to destroy Trump. This latest number is up from 66 percent in February 2018. A clear majority of 55 percent of Republicans believe it is “very likely,” an increase from 47 percent. “Another 9 percent of Democrats believe it is ‘somewhat likely’ the feds broke the law, which puts 38 percent of Democrats in the ‘likely’ column,” said the Rasmussen pollsters in their report.. 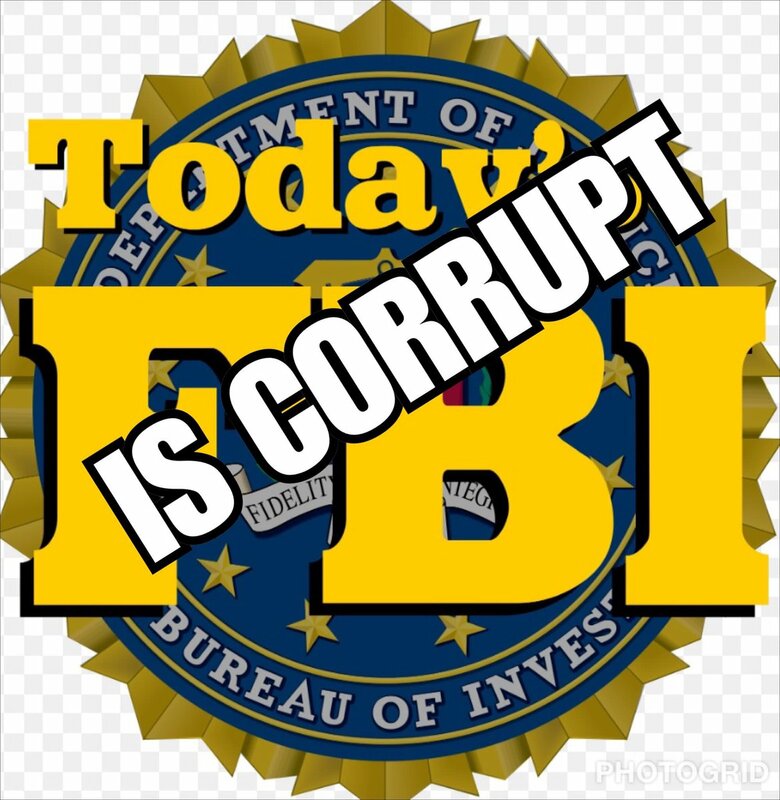 Fired FBI Assistant Director Andrew McCabe, Fired FBI Director James Comey, Assistant Attorney General Rod Rosenstein are believed to be political henchmen not public servants. “Things are only going to get worse. 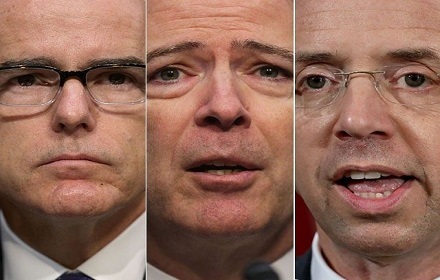 Now, that people know that they were spying on the Trump campaign and that almost all of the big cheeses at the FBI and DOJ have committed perjury at least one and the fact that the DOJ is not handing over documents to Congress, it’s beginning to look like an all-out cover-up,” the Rasmussen surveyors note.